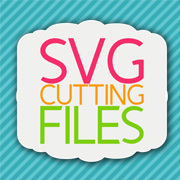 SVG Cutting Files: NEW!! Double Gateway Scallop Card! NEW!! 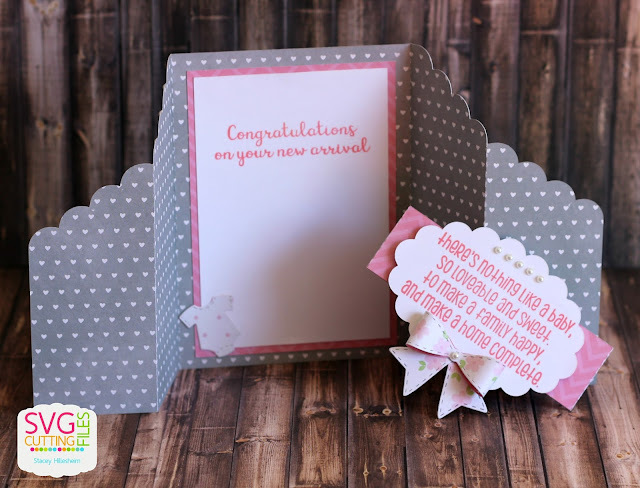 Double Gateway Scallop Card! Stacey from Stacey's Creative Corner here today to give you a little peek of a card file that will be in the store this Friday called, Double Gateway Scallop. 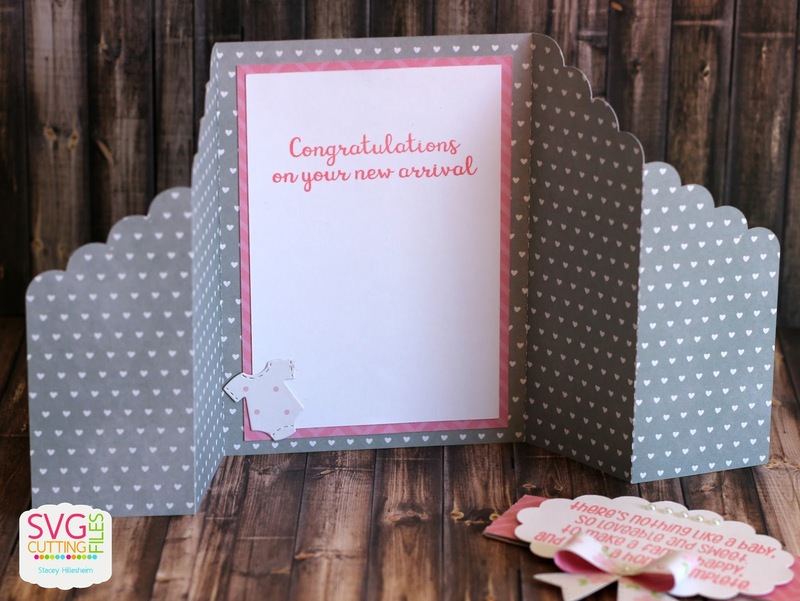 I went with a baby theme for my card and used some pink and gray papers for a little girl. I decorated the front with a stamp from Jaded Blossom, along with a little bow. I added some sticky flat back pearls to add a little dimension and a little extra girlie flair lol! Once opened, I have a little onesie in the corner and the Congrats greeting. 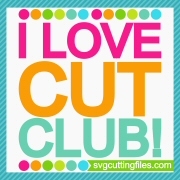 Super fast to put together and I think this card came out just as precious as can be! Squash Card! Happy Cake Day!